To prep our Cats for the heat that is to come, we have lined up 3 awesome recipes for you this week, made out of the simplest ingredients and home appliances— trust us, you have these stuffs at home right now! ☺ Well our feline lovers have concocted their own popsicle recipes, because Cats can suffer from heat-stroke too, and these are the perfect recipes to cool them down on a hot day. Treats and snacks should never be a substitute to daily meals and should only be fed moderately. Before embarking on your own journey of homemade treats, always consult your trusted Veterinarian as a precautionary measure or advice on any special dietary needs— all Kitties are different, you want to be sure that you aren’t feeding them something they might have a bad reaction to. 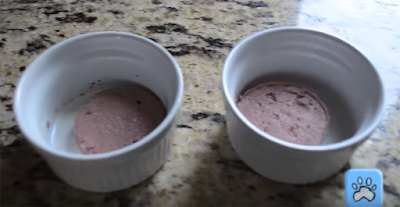 Quick and easy recipe by Pet Health Network via Youtube, you only need one ingredient for these! Watch original video recipe here. 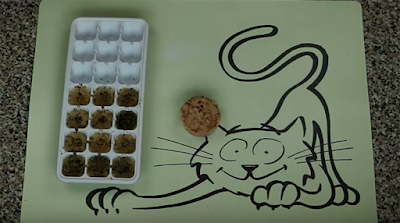 Watch the entire video tutorial for not one, but two recipes for frozen treats, specially for Cats! 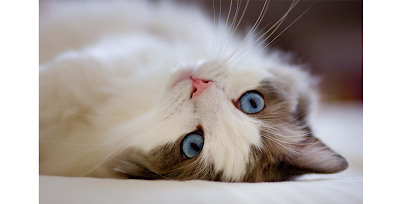 Recipes by Relax My Cat- Relaxing Music for Cats via Youtube. View video here. Got a treat recipe of your own? We’d love to share your stories with the world! Your voices are important to us and the Pets community! Our readers are encouraged to share their Pet-related reviews of a place and its services, experiences, even lifestyle tips and tricks to better our Pets lives, on our platform, one paw at a time. Be a part of an educational and informative Pets community because at ThePetsDialogue, your voices could make a huge difference on a global scale. Write to us at [email protected] today!